The IBC Innovation Factory is designed to support new ways of learning. 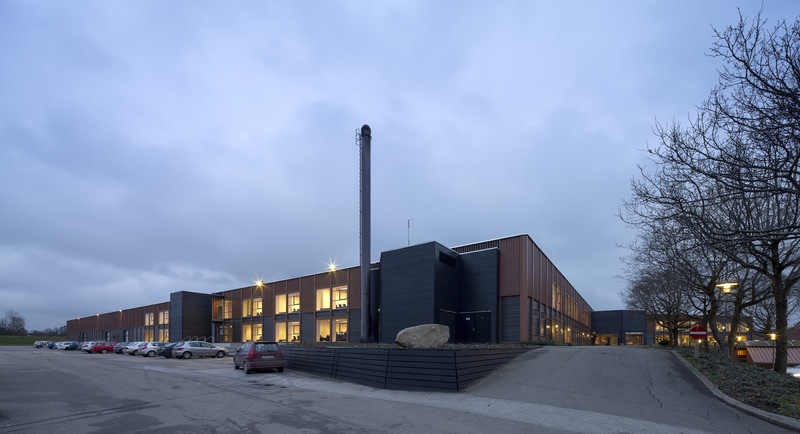 The 12,800 square metres educational building is the result of a refurbishment project of the paint manufacturer GORI’s factory from 1978, which set new standards for factories at the time. 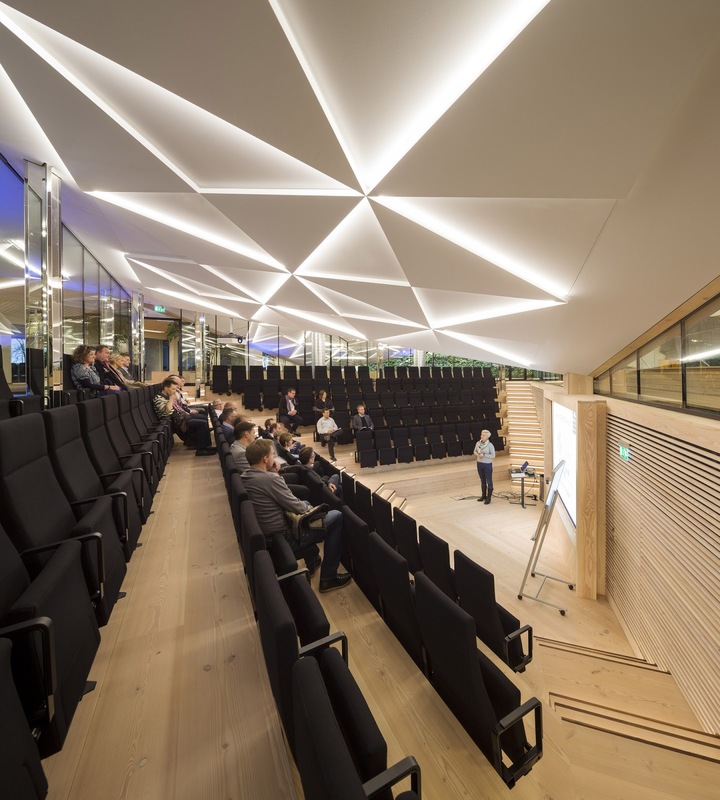 In the spirit of the original factory, schmidt hammer lassen architects, in collaboration with International Business College (IBC) Kolding, has created the settings for a ground-breaking and creative learning environment, aiming to become the world’s best. The ambition is to be a training camp for future innovators. With the acquisition of the GORI factory in the summer of 2010, the IBC gained access to a unique physical environment characterized by an impressive pioneering spirit and vision. It was the first factory plant in Denmark to unite production and management in one large room, allowing visual connection between the two. The large paint tanks were decorated by the French artist Jean Dewasne, in the conviction that art in the workplace would inspire employees and provide a better working environment. The same idea inspired the incorporation of badminton courts and Ping-Pong tables on the production floor for the employees. 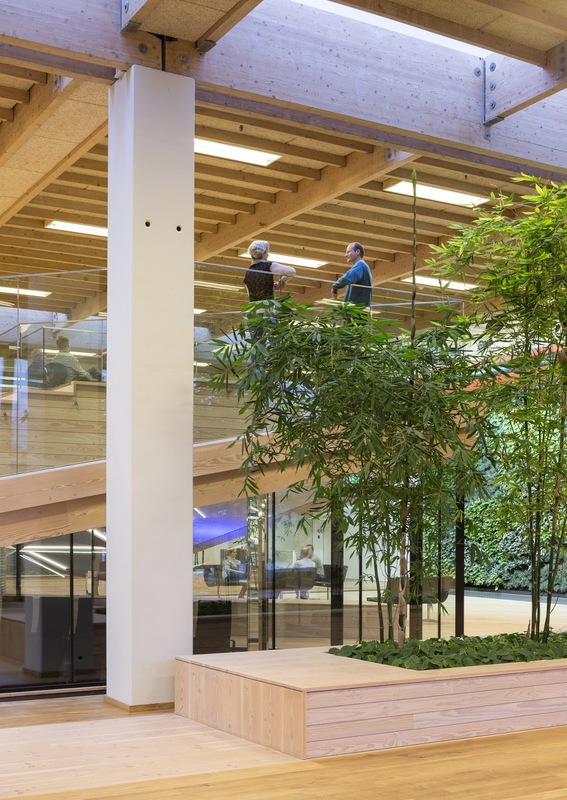 The main task for schmidt hammer lassen architects has been to preserve and emphasize the building’s existing qualities and transform the facilities into an innovative learning environment. 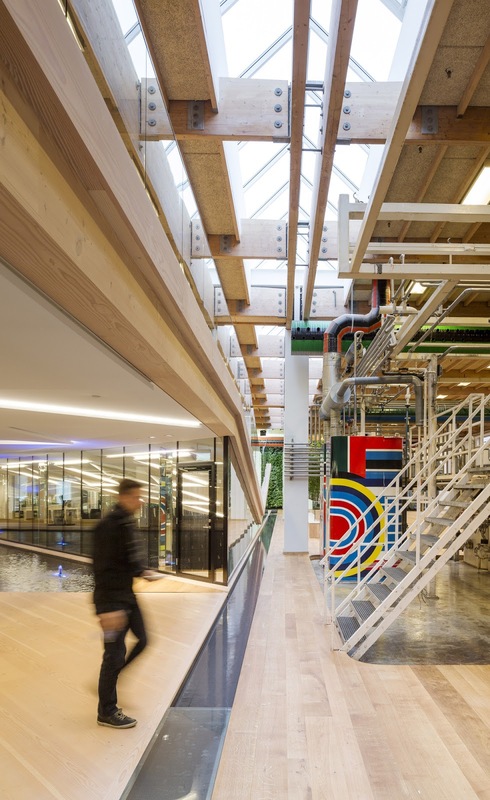 By using six elements – fire, water, greenery, light, sound and air – the concept for the new Innovation Factory was developed with an emphasis on stimulating the users’ senses. 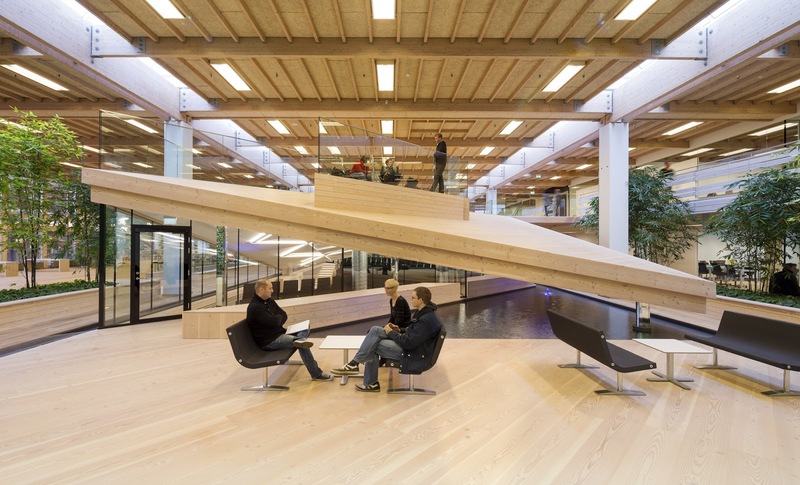 A central teaching facility in the shape of an indoor ‘landscape furniture’ designed in Douglas pine wood incorporates a variety of learning spaces and experiences. 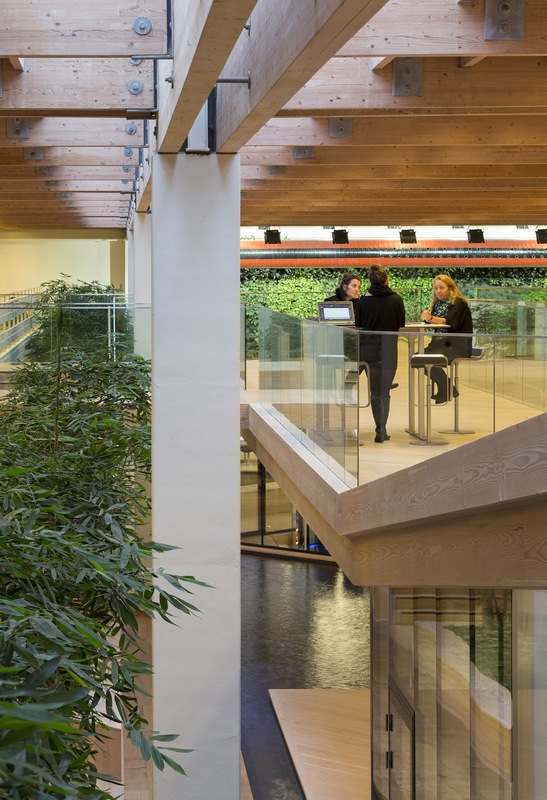 The wooden structure, which seems to float above a surface of water, has an auditorium, places for open study, an amphitheatre, and closed podiums for group work or quiet study time. There are green plants, the sound of trickling water, birds in aviaries and plenty of daylight from the skylights above.